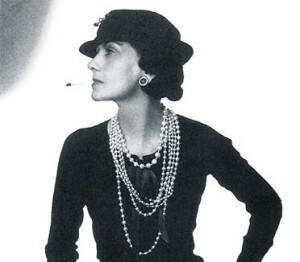 Chanel opened her salon in 1911 in Paris on the rue de Cambon and transformed haute couture with simply cut clothes and outrageous accessories – it was her formula for success. She shortened skirts, eliminated corsets and created comfortable clothes in flowing jersey fabrics combined with huge ornate bracelets designed by her friend Verdura. Adding multiple strands of pearls to top off a timeless signature style. Her friends included the Misia Sert (the artists’ muse), Jean Cocteau, Pablo Picasso, Sergei Diaghilev, Igor Stravinsky and Man Ray.